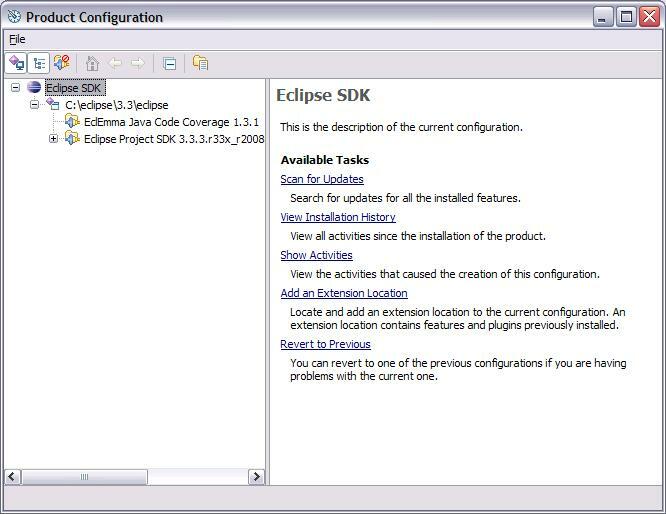 This page captures user scenarios in the Eclipse Update Manager and discusses issues or problems that were to be solved by the next provisioning UI (Equinox p2 User Interface). 1.2 Scenario 2: What add-ons can I get? 1.4 Scenario 4: What do I have? 1.6 Scenario 6: What's wrong with my configuration? Can reduce to 12 by checking "Automatically Select Mirrors"
Scenario 2: What add-ons can I get? 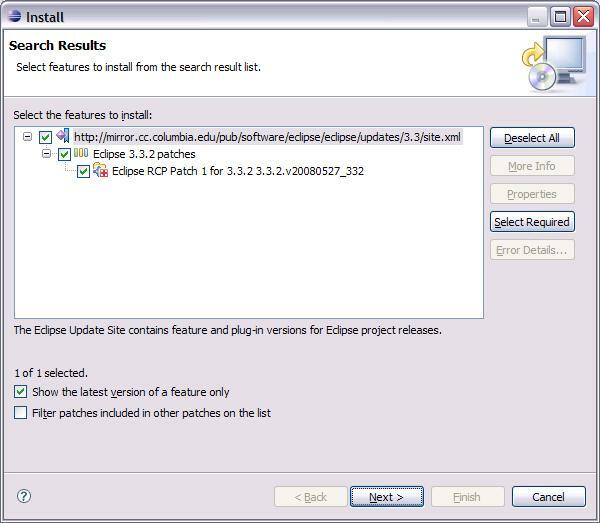 once items are selected for install, 4 clicks to finish (Next, I accept..., Next Finish) as in install scenario. Scenario 4: What do I have? 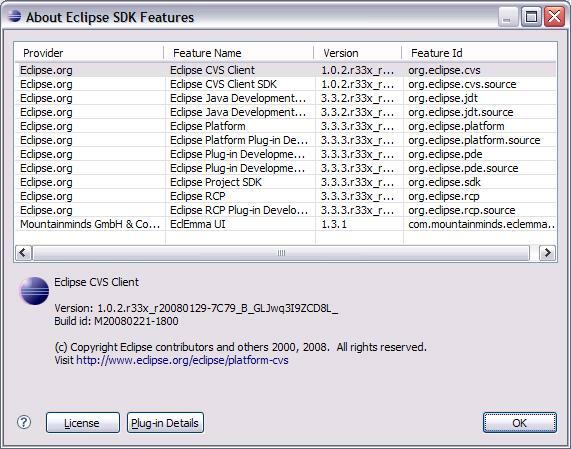 Preferences are provided for the user to set up automatic update scheduling on every startup of Eclipse, or at daily or weekly scheduled times. 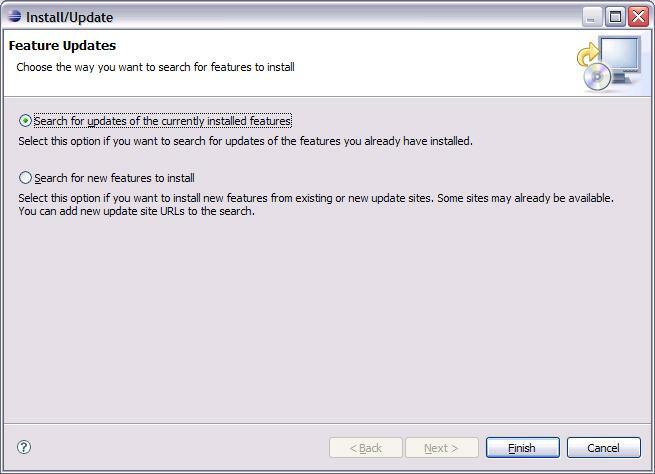 Users can also set a preference so that updates are automatically downloaded before the user is ever notified that updates have been found. 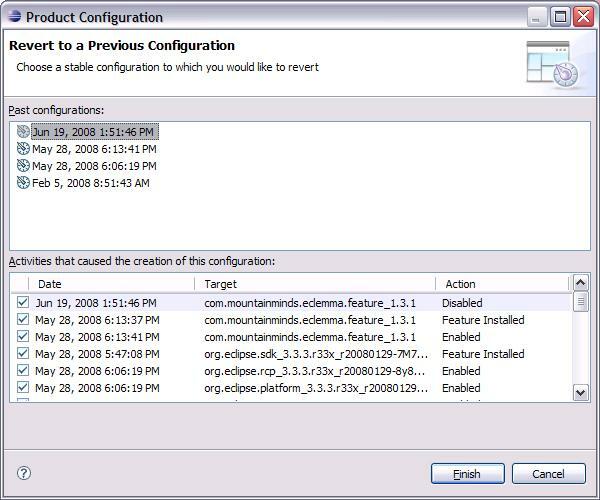 Scenario 6: What's wrong with my configuration? 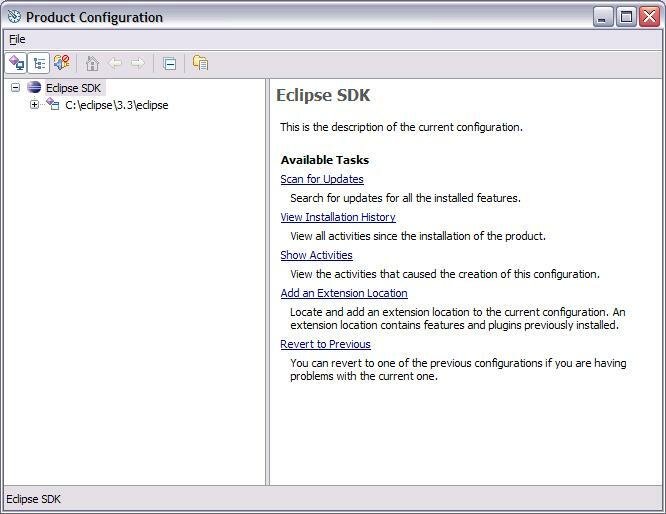 If users encounter a problem that leads them to believe that plug-ins they expect to be installed are not there, or that there are compatibility conflicts with plug-ins, they can use the Manage Configuration... dialog to work with their configuration. 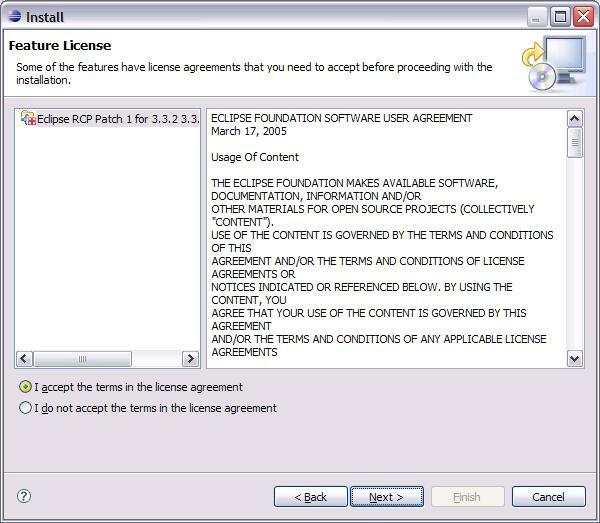 This dialog will show them if there are conflicts with certain features or plug-ins. It also allows them to disable features without uninstalling them. To resolve a problem, users can choose to revert to a previously known configuration. You can't tell what is actually in each configuration, only what happened to cause it to be saved. It can be very difficult to understand the descriptive detail in the revert history. For example, the most recent configuration is described as being created due to the action 'Disabled' for the eclemma feature. However this does not mean that the feature is disabled in that configuration. In fact, the feature is enabled in that configuration. The list is trying to convey that it is the disabling of the feature that caused the configuration to be saved. This is confusing until you can wrap your head around it. It would be useful to instead show some kind of delta between configurations. 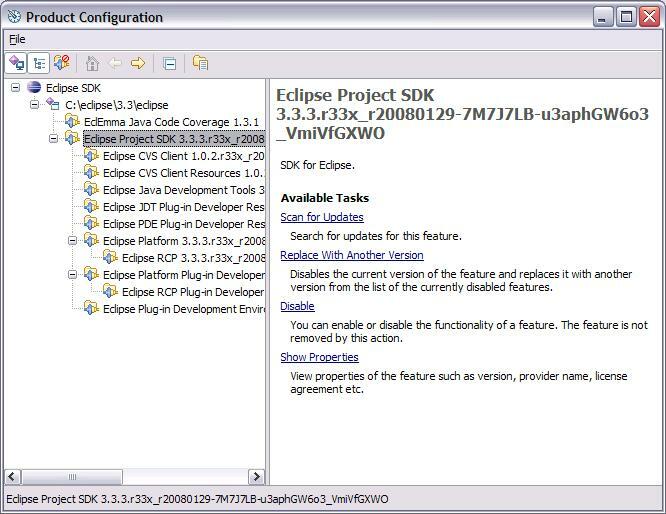 There is no notion of configuring the sites used by update manager. 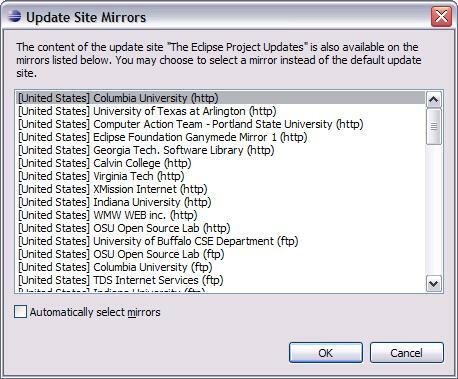 When searching for updates, UM uses site references located in the features themselves or in the sites themselves. When searching for new software, the user selects the sites to be used each time a search operation is performed. 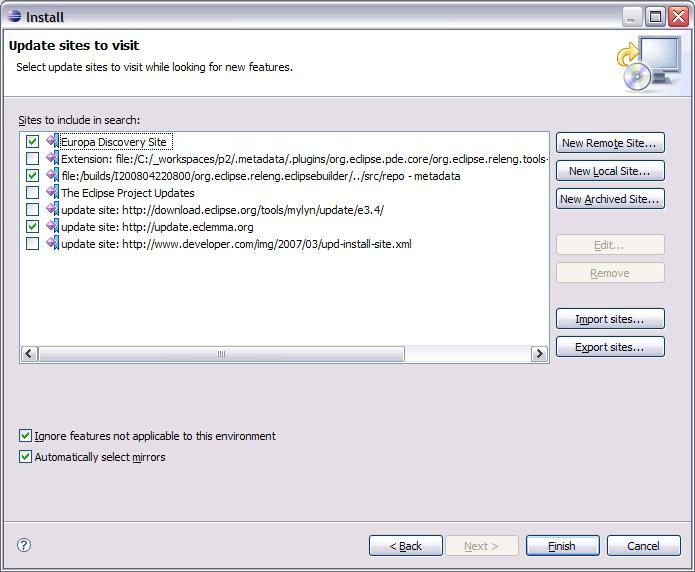 If a user wishes to work with sites (add, remove, export, import), they must know to go through the search wizard. User must always decide first if they are "searching" or "managing" and it's not always obvious. This separation of searching ("what can I get") vs. managing ("what do I have") is caused by performance characteristics of update sites (long download times). User defines the search and can keep working until results appear. This page was last modified 18:03, 19 June 2008 by Susan F. McCourt.